Vehicle license plate placement laws vary by state and can change at any time. Laws can be different depending on which type of vehicle you have. Drivers must follow the placement laws of the state where the vehicle is registered. Although most states have very specific placement laws, they may not be consistently enforced. It is important to check your state's laws and place your plates properly. "ORKUT" is Copyrighted by Flickr user: Peter Kaminski (Peter Kaminski) under the Creative Commons Attribution license. Massachusetts was one of the first states to issue license plates to drivers although it was not the first state to require vehicle registration. License plate materials ranged from porcelain to wood and tin. Some states, like Vermont, have required license plates since the early 1900s. License plates varied in shape and size until the late 1950s, when they were standardized. Nineteen states require only one license plate to be placed on the rear of the vehicle: Alabama, Arizona, Arkansas, Delaware, Florida, Georgia, Indiana, Kansas, Kentucky, Louisiana, Michigan, Mississippi, New Mexico, North Carolina, Oklahoma, Pennsylvania, South Carolina, Tennessee, and West Virginia. Front plates are optional in Nevada only if the vehicle was not designed for a front plate and has no add-on brackets or other way to affix the front plate. Florida's statute (Florida Statute 316.605) requires in part that "[e]very vehicle...shall...display the license plate or both of the license plates assigned to it by the state, one on the rear and, if two, the other on the front of the vehicle, each to be securely fastened to the vehicle outside the main body of the vehicle not higher than 60 inches and not lower than 12 inches from the ground and no more than 24 inches to the left or right of the centerline of the vehicle." License plates, or tags, identify the owner of a particular vehicle. Once a vehicle has been registered with the state, a license plate is issued. Plates can usually be transfered for a fee and with notice to the state's Department of Motor Vehicles to a new car purchased by the same person. New Jersey requires license plates to be illuminated and visible from fifty feet away at night. If your plate is unreadable, you can be subject to a fine. Florida requires your plates be visible from one hundred feet away at all times. 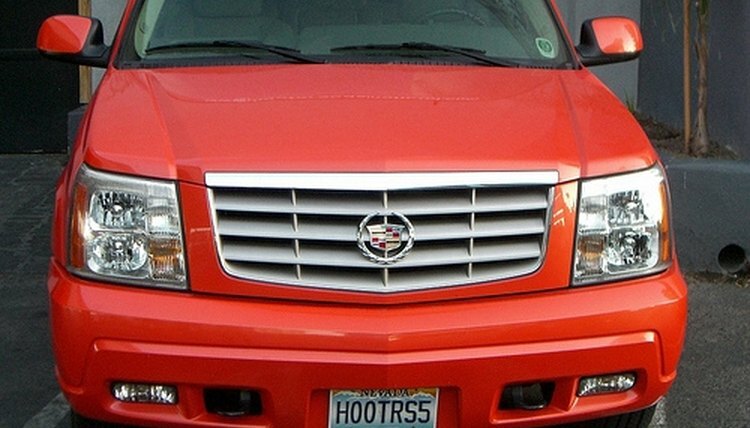 "Hooters Mobile" is Copyrighted by Flickr user: MoToMo under the Creative Commons Attribution license. Most states require only a rear motorcycle plate due to mounting difficulties and lack of a front mounting area. Each state has very specific mounting and placement laws so consult your Department or Registry of Motor Vehicles. For example, in June 2009, Florida removed its requirement that motorcycle plates be displayed horizontally. "Cuban Harley_Cuba 090" is Copyrighted by Flickr user: hoyasmeg (James Emery) under the Creative Commons Attribution license. Many states offer qualified disabled drivers the option of applying for handicap plates. In states where front and back plates are required, two plates will be offered. In some states only a special hangtag handicap placard is to be hung from the interior mirror, and in other states both a hangtag and a front and/or rear disabled plate are required. California and New Jersey have the most spirited debate over whether front license plates are a help or a hindrance. Online petitions circulate in both states. Opponents of front plates contend that they cost the state money in production, shipping and storage, and that many newer and more expensive cars were not designed for front plates. These plates may also cause more damage in low impact bumper-to-bumper accidents. Proponents assert that front plates aid police and other motorists in identifying vehicle ownership. For example, in a rear-end collision by a vehicle without a front plate, it may be impossible to identify the driver of that vehicle. Red light cameras may also be more effective if there are more opportunities to capture the offender's plate number. Fiore, Celeste. "License Plate Placement Laws." , https://legalbeagle.com/5537260-license-plate-placement-laws.html. Accessed 19 April 2019.